Tanya is a self-employed writer with solid credit and enough savings to put 30 percent down on her chosen Connecticut house. But for the past year, no lender would approve her. Then one got personal. Businessman Ben Wilkinson-Raemer and his wife tried for six months to purchase a (very small) apartment in Manhattan's West Village neighborhood, on the market for $400,000. He dutifully provided underwriters mounds of requested financial records. He winced when they also scoured the bank account of his 85-year-old grandmother because she gave him $10,000 toward the purchase. Despite his excellent 700 credit score, the loan was rejected. Even for successful buyers with sterling credit, seeking a mortgage these days can feel like a simultaneous root canal and colonoscopy. Tighter loan restrictions were expected after the mortgage fiasco. A quarterly Federal Reserve survey of loan officers at large banks confirms they have tightened standards significantly over the past three years, although now some lenders are beginning to loosen up. But as the housing market continues to struggle, with sales of existing homes dropping unexpectedly last month, sales some mortgage brokers say the pendulum of scrutiny has swung too far, causing transactions to take far longer than necessary, putting buyers through too much hassle and blocking qualified applicants from purchasing. The real estate business seems to have switched its motto from “location, location, location” to “documentation, documentation, documentation.” Potential buyers must chronicle every dollar of income and all assets via pay stubs, W-2s, tax returns, bank statements, credit reports and sometimes even letters from employers or family members. Mortgage brokers blame new federal lending rules for injecting unneeded delays in the loan process, and they accuse some underwriters of focusing on their own job security rather than fairly analyzing a consumer’s default risk. “The changing rules during the last couple of years are making it much more difficult to obtain mortgages, slowing our economy, causing our housing market to decline,” said Warren Greenlee, who runs RE/MAX at the Lake in Mooresville, N.C. Many brokers and agents agree that home-loan snags are stalling the housing recovery and damaging the economy, hurting businesses that sell the types of goods and services and new homeowners typically buy. The simplest loans — those involving one person with one checking and savings account —require 33 pages of disclosure documents, said Todd Huettner, president of Denver-based Huettner Capital, a real estate mortgage brokerage. Home-loan frustrations, Huettner said, are touching “every borrower.” But the most qualified applicants — high-income, high-credit folks who three years ago zoomed through the process with 10-minute pre-qualification calls and no-doc loans — now are most apt to choke on red tape because they have “the most complex finances,” he said. In such cases, an underwriter often demands extra documentation from the borrower “five, six, or seven” times. “And considering that each iteration takes about a week, that’s why people are spending two and three months trying to get a loan done,” he said. According to a survey conducted earlier this year by The Work Number — an employment verification database used by more than half of the Fortune 500 companies — 72 percent of respondents said they are confused by the flood of disclosure forms. But consumers like Wilkinson-Raemer in Manhattan, stuck in rental purgatory, are paying the steepest price. In a “normal market,” about six of every 10 loan applicants are approved, estimated Paul McFadden, a loan officer at the Legacy Group in Bellevue, Wash. Before 2008, at the height of the subprime lending craze, roughly nine of every 10 loans were approved, he said. “In many cases, borrowers who have proven their ability to buy homes and pay for mortgages are being penalized and declined mortgages,” Jaffe said. Huettner also blamed federal reforms for mucking up the mortgage machine. RESPA — the Real Estate Settlement Procedures Act — requires lenders to supply good-faith estimates to would-be buyers, revealing loan terms and closing costs. As a result of the law, which went into effect Jan. 1, brokers cannot order property appraisals until their clients have had the good-faith estimates for three days — an “artificial delay,” according to Huettner. Then there’s the federal Home Valuation Code of Conduct, which prohibits lenders, brokers and agents from selecting or having “substantive” communication with a residential appraiser. The idea was to ensure appraiser independence. 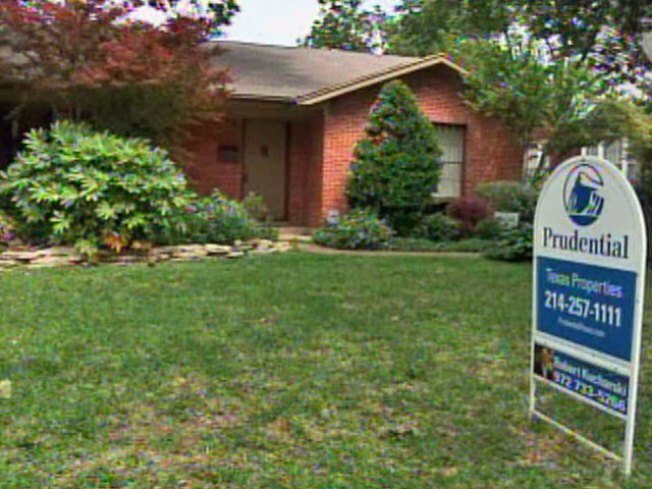 Before the mortgage crisis, fraudulent appraisals inflated many home values. Yet as a result of the new code of conduct, appraisers now might come from 20 to 50 miles away and are unfamiliar with the neighborhood’s nuances. As a result they often write “egregiously low” appraisals, Huettner and other brokers contend. “The regulatory stuff coming from Washington ... it’s bad,” Huettner said. But he said the pendulum might not have swung as far as some believe. Huettner doesn’t see loan guidelines as being substantively different from years past. The real change: the paper trail of income evidence that’s now required. He said the new scrutiny of borrowers is a change from recent years but not unprecedented. “The end result here is that lenders and investors want to be certain that they have minimized any opportunity for default prior to originating a mortgage,” said Jim Sahnger, a mortgage brokers in Jupiter, Fla.